It’s time for a really retro Mario game! I typically don’t use the virtual console all that much since I’m a physical game collector, but when a title has no alternative then it’s time to take the plunge. I got this one on the Wii U Eshop and it works pretty well. One advantage that this digital copy has is the ability to save at any point in the game. I can’t really imagine completing this game otherwise since I died over and over again many times. That’s because of the controls though so more on that in a bit. It’s a classic retro Mario game from start to finish. There are 8 worlds with 4 levels each. There’s also a 9th world if you really want to test your mettle, but you get to see the ending after World 8. Each level is fairly short so you could easily complete the game in a few hours if you don’t die all that much. Of course, not dying is far easier said than done in this game. I’m not sure if it’s just this version or not, but as I mentioned earlier, the controls are terrible. I’m talking Ninjabread Man levels of bad which is actually crazy. You just don’t expect something like this from Nintendo and it makes you wonder if the Emulator guys were able to make the controls smoother..not that I’d try it tho! The VC is a nice re-release of the original Lost Levels as the graphics are as old as you can get. It feels nice and retro to look at the sprites. The soundtrack isn’t quite as inspiring as usual, but it’s not bad either. It’s pretty good for its time on the technical merits. The level designs are also on point and I like the game’s attempt to make a snow level by making the background white. I can definitely roll with that and it’s something that I’d do in one of my sprite videos as well. Whatever works right? I really need to make another sprite video….one of these days. There really isn’t any replay value to be found here aside from playing the levels. Usually that would be enough, but Mario Maker basically invalidates this game. You can just replay the levels over there, but with superior controls and graphics. It’s fun enough and still worth the money since the game is pretty cheap, but you probably won’t be coming back to this one. I’m also not sure what happens if you get a Game Over. I didn’t risk it so I kept saving before I would lose, but if you go back to the beginning then that would be pretty tragic. I was under the impression that this was the case, but I don’t remember actually reading about it so it could just be an incorrect assumption on my part. I heard that you’re better off playing Luigi in this game and I can see why. Jumping a little higher would definitely be useful a lot of the time although the controls getting even more slippery doesn’t sound like my idea of a fun time. To elaborate on the iffy controls, it’s like the game added a gravity mechanic. You have to time your jump at just the right point so that you can cover a good amount of distance. Too short and Mario will barely turn and if you’re too far then he’ll float too far and you’ll die. It’s just really hard to take everything into account and a simple jump can take up to 10 tries or maybe even more. It gets a little tedious after a while. Luckily, the actual gameplay style is something that I’m still a fan of so it’s not as bad as it could have been. Without the instant saves on the VC version, it’s safe to say that this game actually would have gotten a negative score. That’s due in part to the fact that the game doesn’t play fair. There are a lot of Mario Maker tricks included here like invisible blocks right before a jump and poison mushrooms that will destroy you if you make contact. Blind jumps are also around and it really does feel like Mario Maker users borrowed from this game. I never expected to actually see this stuff in a real Mario game. It can be a little funny here since I just restart, but imagine starting the level all over again because of it? There are also never ending mazes that don’t end unless you complete a level in exactly the right way. A little ping sound will let you know if you’re doing it right, but the VC version seems to have cut that out. As such, it would be just about impossible to have beaten the level without knowing the trick. There are so many paths and trying them all would drive you crazy. I don’t see why a maze should be added to the game either. It just feels cheesy and almost like cheating. The level is literally changing depending on where you go and that just doesn’t feel right. There are only two levels like this, but the fact that they pop up out of nowhere makes it just that much trickier. Overall, I forgot the exact origins of this game, but I think America skipped it for a while. I can safely say that we made the right move in that case. This is easily the worst Mario 2-D sidescroller out there. The levels aren’t really fair and the controls are just painfully bad. I died well over 100 times during the course of the game but I feel like I would have only died maybe 10% of those times if the controls were smoother. If you’re a huge Mario fan then it’s probably worth buying this one. You should see the one time that Nintendo messed up the classic formula. Still, I can’t call it a bad game. It has a reasonable amount of levels and playing the game is still fun. Once I started, I couldn’t stop until I had completely taken it down. 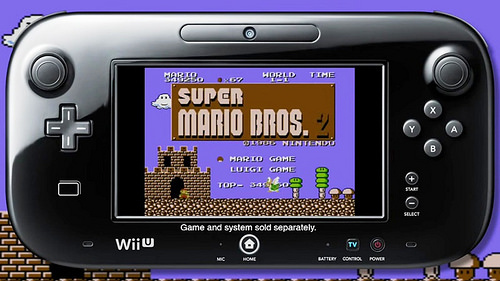 It still has that addictive feel to it, but with only a fraction of the usual Mario fun. Soon I’ll be playing Metroid on the Virtual Console as well so we’ll see how that one fairs. The controls are certainly better which is already a nice improvement. This entry was posted in 5 Star Games, Game Reviews, Games, Reviews and tagged Game Review, Mario, Nintendo, Review, Super Mario, Super Mario Bros, The Lost Levels, Video Game Review, Virtual Console, Wii U by dreager1. Bookmark the permalink.